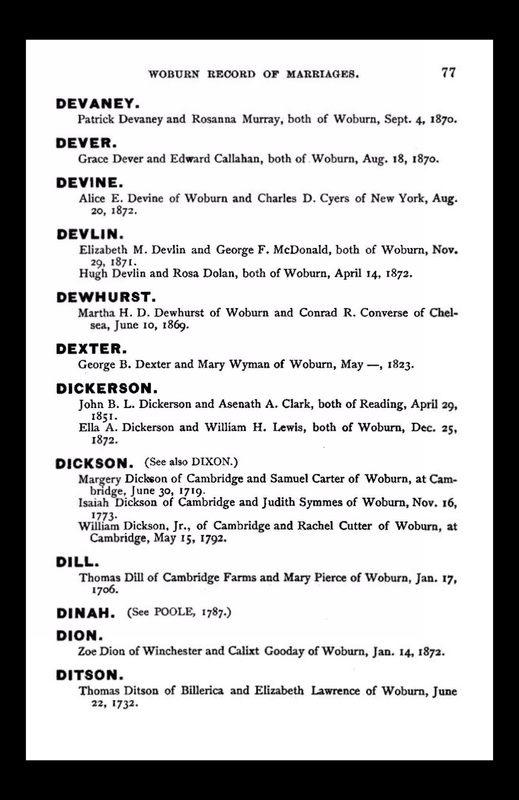 " Thomas Dill of Cambridge Farms and Mary Pierce of Woburn, Jan. 17, 1706"
Edward F. Johnson, Woburn Records of Births, Marriages and Deaths [5 Volumes], (Woburn, Mass. : The News Print, 1893), Marriages, page 77, Thomas Dill and Mary Pierce entry, 1706. 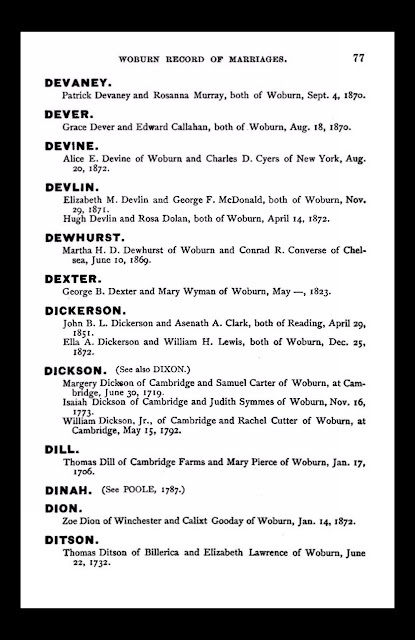 Thomas Dill (1682-1718) was the son of Peter and Thanks (Shepard) Will of Concord and Littleton, Mass. Mary Pierce (1682-1713) was the daughter of Nathaniel and Elizabeth (Pierce) Pierce of Woburn, Mass. 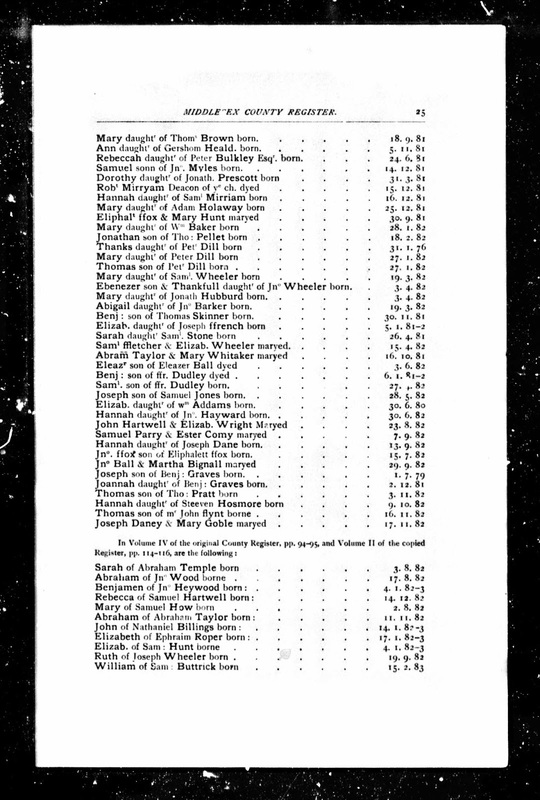 Thomas Dill and Mary Pierce had three children between 1706 and 1712. Mary died after her third child, Elizabeth, was born on 2 January 1712, and when Thomas married his second wife on 11 May 1713. The Cambridge vital record book has exactly the same information, but dates the marriage as 17 January 1705. Therefore, it is probably that the date was 17 January 1705/6. Thomas and Mary (Pierce) Dill my 6th great-grandparents, through their son Thomas Dill (1708-1761), who married Mehitable Brown (1714-1758) in 1733 in Eastham, Massachusetts.